Julien's Auctions is having another one of its high-end auctions and this time, they are selling some prime TOS items. Sadly, their signature Star Trek item is a TOS Kirk tunic with an autograph marring the front. Everyone I know was horrified when they saw this. Obviously someone had no clue that having a star sign a valuable prop or costume actually DEVALUES that item. This is a Season 3 Double Knit tunic. Less desirable than the Season 1/2 velour. The Velour Kirk tunic in last year's Profiles auction went for $ 80,000 before buyer's premium ($ 98,400 with BP). This one? I think it is worth HALF that at best, and more like $30,000. A pale green Starfleet uniform tunic made for Captain James T. Kirk, played by William Shatner, for use in the third season of Star Trek (Desilu Productions, 1966-1969). While appearing gold onscreen, the actual color was described as "avocado" by costume designer William Ware Theiss. The tunic is made of a double knit stretch nylon with attached black spring weave collar. The tunic is closed by a hidden zipper, which runs from the waist to the top of the collar and finished with a hook closure. The tunic also has a double gusset design on both sides, a construction technique exclusive to the tunics made for Shatner. The Command delta shield insignia is zig-zag stitched to the left breast of the tunic and the sleeves are finished with the command braid made of multiple colors of thread embroidered over gold Mylar. The braid configuration signifies the rank of captain, and the size, hemline placement and age of the materials and components is consistent with a tunic made for Shatner. The tunic has been hand signed by Shatner across the chest with black marker. 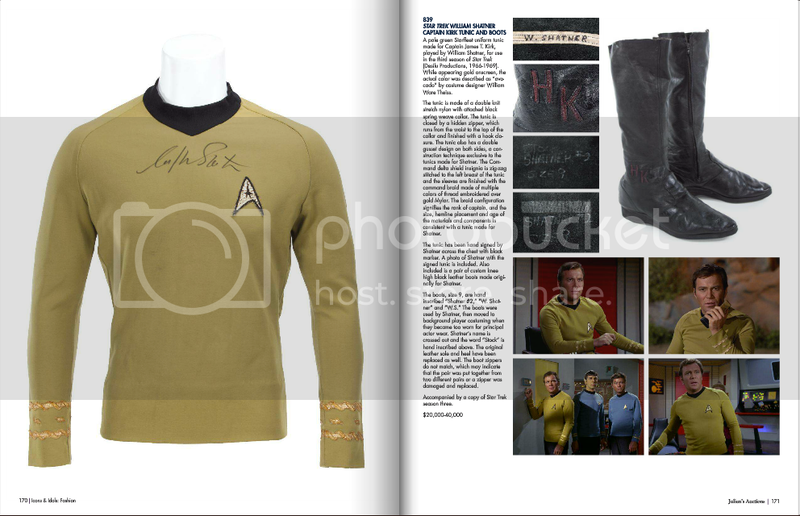 A photo of Shatner with the signed tunic is included. 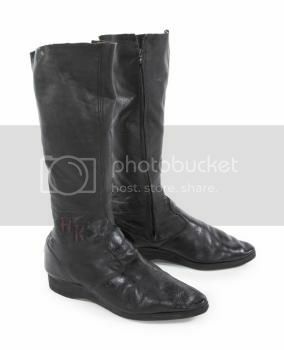 Also included is a pair of custom knee high black leather boots made originally for Shatner. 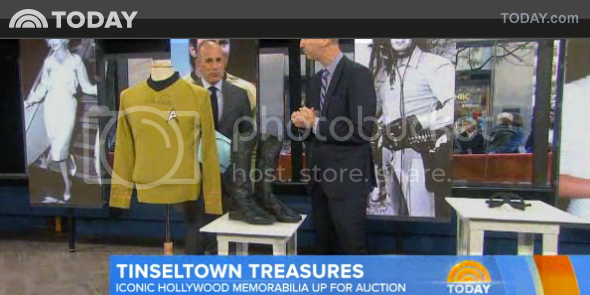 The boots, size 9, are hand inscribed “Shatner #2,” “W. Shatner” and “W.S.” The boots were used by Shatner, then moved to background player costuming when they became too worn for principal actor wear. Shatner’s name is crossed out and the word “Stock” is hand inscribed above. The original leather sole and heel have been replaced as well. The boot zippers do not match, which may indicate that the pair was put together from two different pairs or a zipper was damaged and replaced. You can see the complete auction ad here. This video bothers me. 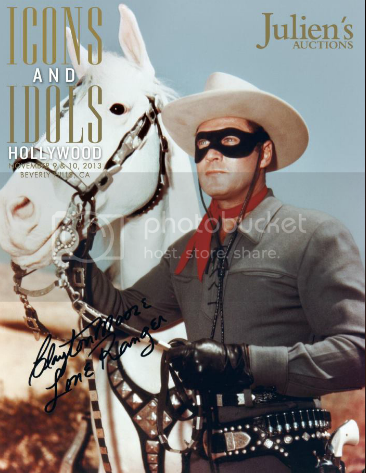 Why would you PROMOTE a costume so marred by an autograph? All you do is make people think that is OK. So boys and girls, remember, don't EVER get a costume signed! It detracts from the value. 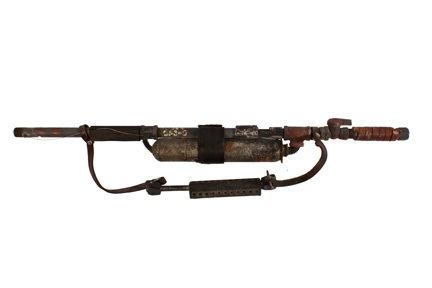 The Golden Closet has a Star Trek V Nimbus III Rifle up on their site. We don't see these very often, but they are around. The Golden Closet contacted me about promoting it, which I am happy to do, but I did tell them I thought it was priced high. They were very nice when I told them this and say they will talk to the consignor. 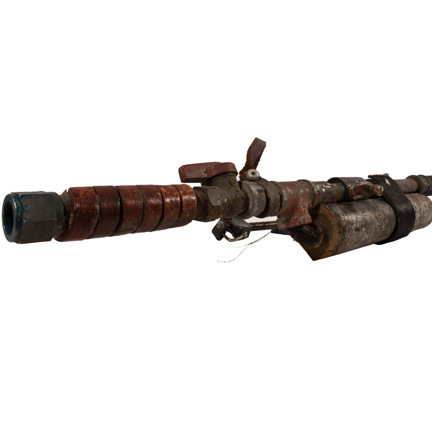 1) The prop isn't rare, we have seen them before. 3) It's just not very attractive. 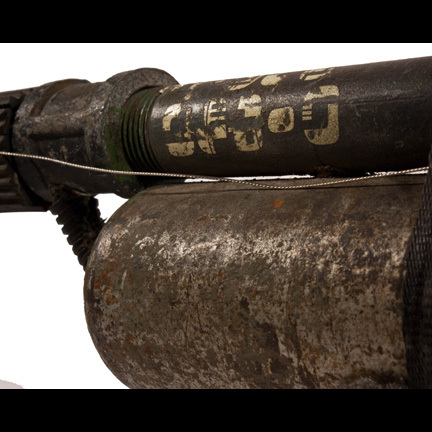 It isn't a "cool" prop like a Phaser or disruptor. That being said, some people (like Aaron Carlson!) love Star Trek V and so this would be a cool addition to their Star Trek V collection.